Glaciers descend from the Bracken Snowfield accross the valley from the track from Prices Flat to Neave Hut in the Whitcombe. 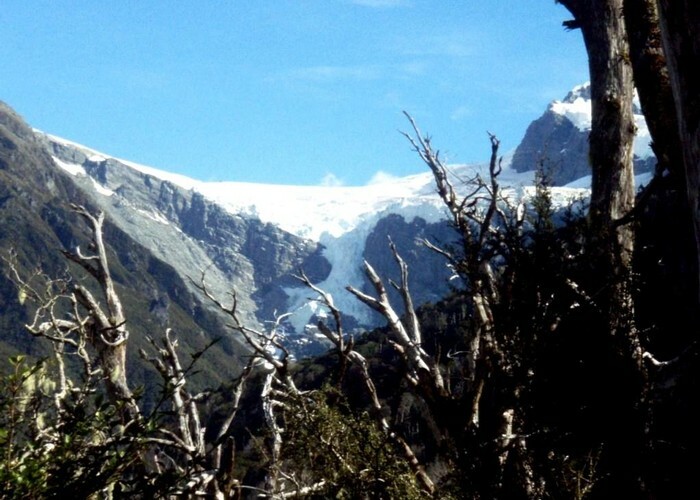 The glacier in the valley is the Wilkinson, with the Shelf glacier hanging off cliffs to the right. Added 9 February 2011 by madpommadpom. No revisions. 64 views in the past year (5 per month).